M&P can make custom PTFE Machined Parts to your specifications or drawings. We have a plastic machine shop; PTFE is one of the plastics we can use to make parts. PTFE stands for polytetrafluoroethylene and is a synthetic fluorocarbon-based polymer. Several other manufacturers make their own brands of PTFE, which can often be used as substitute material. PTFE’s mechanical properties are low compared to other plastics and can be used over a wide temperature range of -100°F to +400°F. It has excellent thermal and electrical insulation properties and a low coefficient of friction. 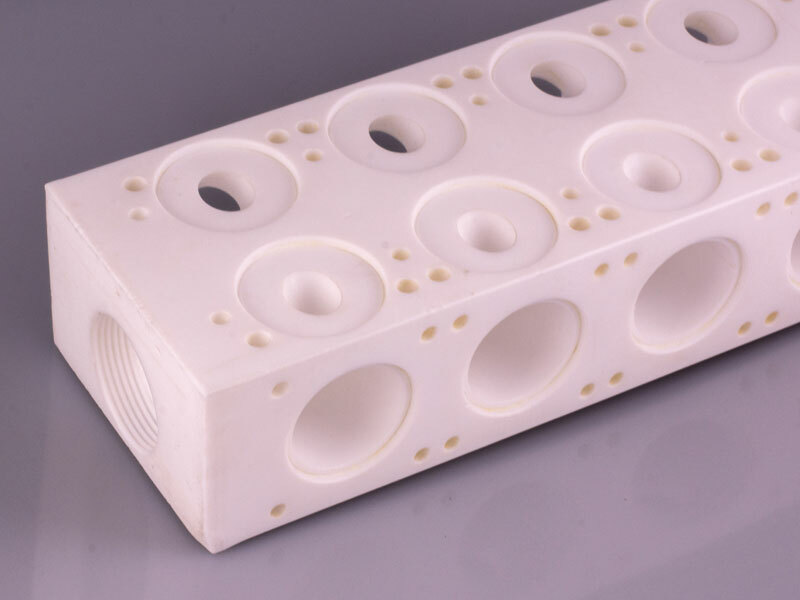 PTFE’s mechanical properties can be enhanced by adding fillers. These fillers include glass fibers, carbon, graphite, molybdenum disulphide, and bronze. PTFE Machined Parts are made in a completely controlled environment. PTFE O-rings, PTFE Seats, PTFE Bushings, PTFE Bearings, PTFE Guide Blocks, PTFE Wear Pads, PTFE Washers, PTFE V-Rings. M&P keeps PTFE in stock so that we are ready for immediate production of your PTFE Machined Parts. We also can make Glass Filled PTFE, Ekonol® Filled PTFE, Carbon Filled PTFE, and Graphite Filled PTFE machined parts.